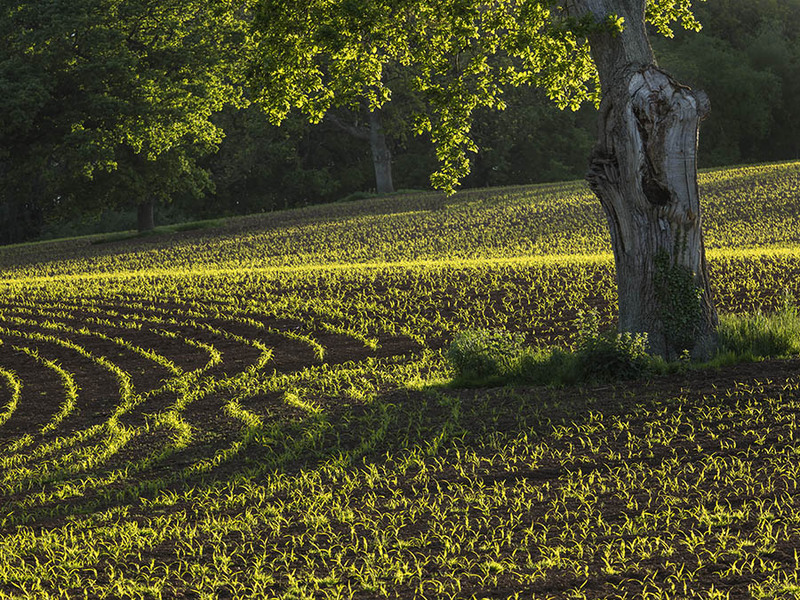 As the the sun starts to set it casts beautiful light over an ageing Oak tree surrounded by the new shoots of a summer crop in a small field in the heart of North Devon. Buckland Brewer. North Devon. June 2016.